Made in France, from the famed Parisian riverside that once inspired artists such as Matisse and Picasso, Sennelier’s line of fine oil paint offers the City of Paris in both 40ml and 200ml tubes! Made from a rich, balanced blend of cadmium substitutes, Rive Gauche Fine Oils are highly pigmented, producing colors with an opaqueness and luminosity equivalent to that of real cadmium. Bound with safflower oil, Rive Gauche fine oils have a lower level of yellowing, and are designed to dry twice as fast as classic oils without losing workability. With its thick, creamy consistency, oil colors mix clearly, and each paint stroke is smooth and uniform; drying to an intense satin finish. Made in France, from the famed Parisian riverside that once inspired artists such as Matisse and Picasso, Sennelier’s line of fine oil paint offers the City of Paris in both 40ml and 200ml tubes! Made from a rich, balanced blend of cadmium substitutes, Rive Gauche Fine Oils are highly pigmented, producing colors with an opaqueness and luminosity equivalent to that of real cadmium. Bound with safflower oil, Rive Gauche fine oils have a lower level of yellowing, and are designed to dry twice as fast as classic oils without losing workability. With its thick, creamy consistency, oil colors mix clearly, and each paint stroke is smooth and uniform; drying to an intense satin finish. Featuring 60 colors in 40ml tubes and 56 colors in 200ml tubes, Sennelier’s Rive Gauche Fine Oil Paint brings the City of Lights to artists all over the world with its wide range of bright, brilliant colors. Excellent for students and professionals alike. Oils that yellow two times less! Safflower oil is used to make the 60 colours. It is characterized by its low level of yellowing (50% less than linseed oil) and its excellent compatibility with pigments. Buy 3+ Rive Gauche 200ml and receive a Kaerell Filbert Size 10 (a $17.55 value) FREE*! Sennelier Rive Gauche Fine Oil Colors & Sets is rated 4.2 out of 5 by 5. Rated 5 out of 5 by Jose LC from The paint was easy for mixing and it contains his own medium I bought it Maybe couple months and will continue to buy the same product. Rated 4 out of 5 by Tricomike from Nice product Good consistency, does dry a little faster then other paints. The colors could be s little more brilliant. Rated 4 out of 5 by Sunshine srtist from Fast drying Some of the paint is so thick the tube splits when it’s squeezed. After this happened several times I put duck tape on the bottom half of the tube and this seemed to solve the problem. I bought the large tubes. The 40ml. Tubes don’t seem to have this problem. Aside from that I like the paint and will reorder. Rated 4 out of 5 by Jeffery510 from Exactly what I needed! I had been looking for this particular oil gauche in Venetian red. Went to all of the local art stores and could not find the color or the size! Lo and behold jerry's artarama was the only online store that was not out of stock. Rated 4 out of 5 by Darby Joan from Great Colors I love that this paint dries faster than traditional oils which means my paintings can be on their way to clients faster. The colors are well pigmented and the texture is nice and creamy too. Can you use standard medium with this paint? Yes, any standard oil painting medium may be used with the Rive oil paints. You can view Senneliers line of oil mediums on this page https://www.jerrysartarama.com/sennelier-oil-color-mediums Please let us know if you have any other questions or concerns. 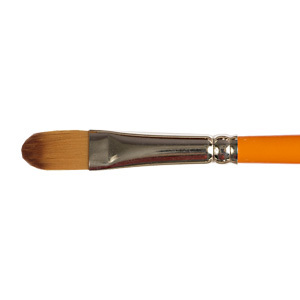 What is the difference between the traditional sennelier oil paint and rive gouche oil paint? &nbsp;Why the rive gouche is cheaper? The Sennelier Rive Gauche Fine Oil Colors are made with safflower oil just like the Sennelier Extra Fine Oils which are also safflower oil based. The Rive Gauche Fine Oils are said to dry slightly faster than traditional oils and they can be used with traditional oil paints. Please let us know if you have any other questions or concerns. How do the Rive Gauche paints work with traditional Sennelier oil paints?